Theresa May's government is now in a full blown crisis following the MP's today voting to find UK Government Ministers in contempt of Parliament for the first time ever, which is basically MP's sending a message to the Government that they are no longer acting in a democratic manner, instead are acting as a dictatorship! 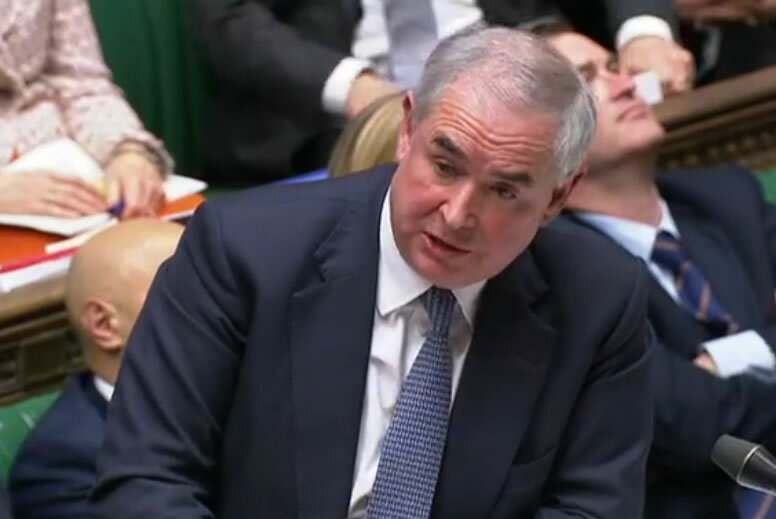 In contempt over the failure to publish the full legal advice given to the Government by the Attorney General, Geoffrey Cox on the consequences of the "May Backstop BrExit Deal". This is an unprecedented event that put's Theresa May's government let alone her premiership teetering on the brink of collapse in the run down to the Vote on her Brexit Deal on the 11th of December. Are government ministers in contempt of Parliament? The government is teetering on the brink of collapse, expect more commons defeats in the countdown to the vote on the EU Withdrawal Act. Subverting BrExit - UK Can NEVER LEAVE the EU! Today's events are just the latest saga in the attempts by Britain's political and corporate establishment to subvert the settled will of the British people who voted to LEAVE the European Union, which was supposedly to be achieved via the May 'backstop deal'. A plan that Britain's Attorney General yesterday confirmed would mean that Britain could NEVER actually LEAVE the European Union without the EU's permission, which as Donald Tusk late last work reminding the UK of there being a stark choice of either the "May Deal or NO Brexit". Which means that the EU is determined to KEEP Britain shackled to the European super state in perpetuity. In a 43 page document titled "EU Exit Legal Position", Attorney General Geoffrey Cox confirmed that the UK would be indefinitely committed to the EU customs rules under the May backstop deal. 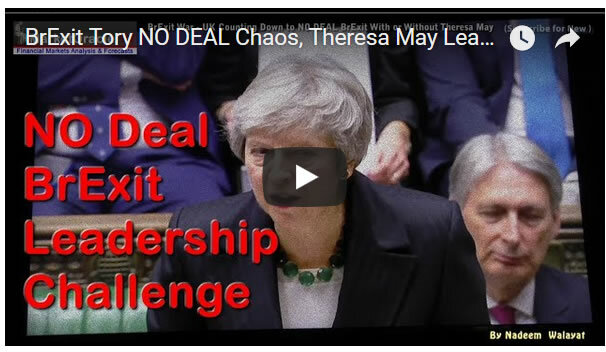 In fact the document and an earlier leaked document contradict virtually everything that has spewed out of Theresa May's mouth concerning her Brexit plan as EU law would continue to be applied across the spectrum of trade and governance. EU law will apply after the TIP to protect the rights of EU citizens in the UK. This could extend for some considerable period. 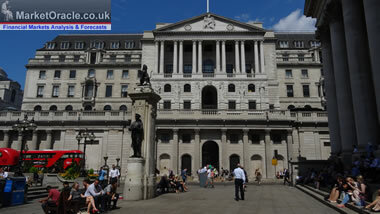 EU law also will apply after the TIP in relation to the Separation Issues and the Financial Settlement. Again, this could extend for a considerable period. EU law will apply extensively, particularly in Northern Ireland, under the “Backstop” found in the Ireland/Northern Ireland Protocol. EU law in relation to goods, turnover taxes, agriculture and fisheries as well as veterinary and phytosanitary rules will apply in the Sovereign Base Areas of Cyprus. After the end of the TIP the CJEU will continue to determine the interpretation of EU law applicable under the WA by the mandatory reference procedure from the arbitration panel. “The UK will conform to specific EU legislation on customs, including with respect to third countries. To provide a ‘level playing-field’ the UK commits to non-regression (from the law as it stands at the end of the TIP) on EU environmental protection, labour and social standards, state aid and competition and state-owned undertakings in respect of administration of tax…. On the UK side of the customs union, in the ‘United Kingdom in respect of Northern Ireland’, specific additional EU legislation applies on customs, certain VAT and excise, and certain technical standards relating to goods”. “This document identifies and explains many of the very serious legal problems for the UK that would emerge from the Prime Minister’s proposed Withdrawal Agreement, should it be approved. It is wishful thinking and irresponsible to accept the Government’s spin of this damaging legal reality, or to think it could be used as a basis for successful further negotiation. I don’t believe any MP in possession of these facts could in good conscience ignore them and support the Withdrawal Agreement. "The main calculation was the political imperative of either entering into the agreement or not. That is a calculated risk that each member of this house is going to have to weigh up against different alternatives.” he said. So this is just further confirmation if any were needed that Theresa May, a REMAINER Prime Minister has spent the past 18 months to deliver a PLAN at the last minute that would PERMANENTLY KEEP THE UK WITHIN THE EUROPEAN UNION, a BrExit in name only, not in practice. On the 11th of December MP's will vote either for or against the May plan, following today's defeat there is virtually zero chance that MP's will vote of the May Plan, following which my view is that the most probable outcome is for a Tory Leadership challenge to remove this inept disastrous Prime Minister and put a BREXITEER in charge who can finally start the real EXIT negations for a DEAL or NO deal BrEXIT on 29th March 2019. 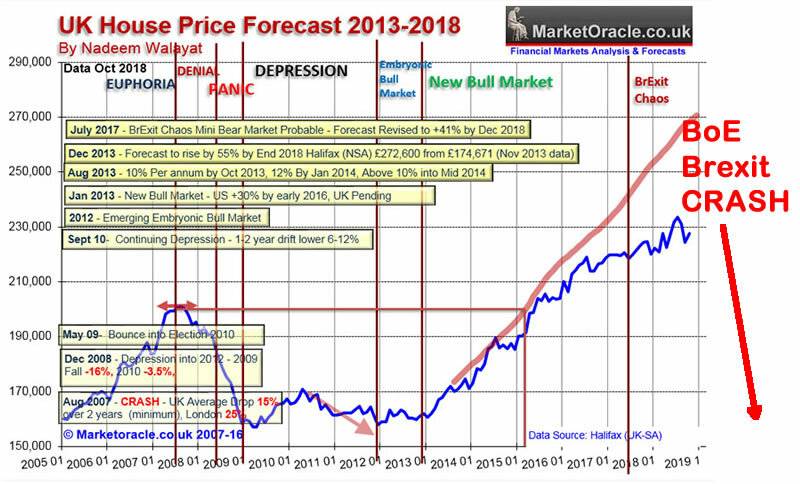 Meanwhile last week the Bank of England was out in force pushing anti-Brexit propaganda to a new extreme with a string of economic apocalypse warnings, with a 30% CRASH in UK house prices at the top of the doom list. The following graph illustrates what the Bank of England's 30% crash in house prices would look like if it were to materialise post Brexit. And here's a summary of all of the Bank of England's No Deal CRASH warnings. 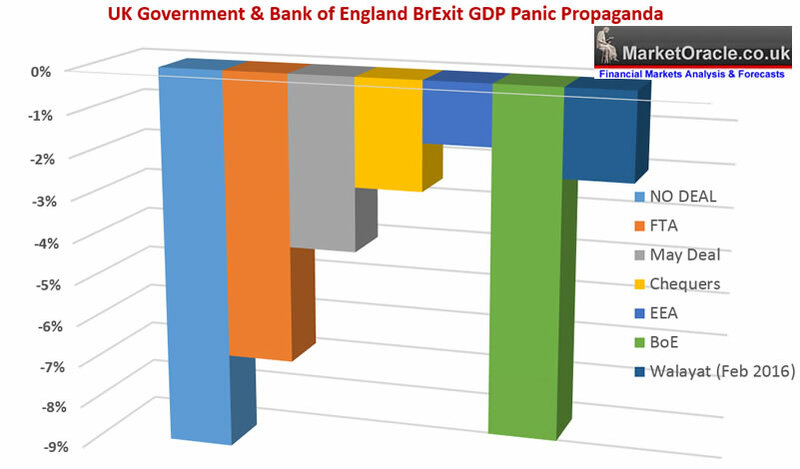 And here's a summary of the of Government and Bank of England's GDP forecasts of what they expect to happen to the UK economy under various BrExit scenario's coupled with my own forecast as of Feb 2016. The bottom line is that Britain's establishment elite (80% of MP's) remain determined to subvert BrExit through use of insidious, undemocratic measures that of engineering an outcome that means the UK FAILS to LEAVE the European Union. THIS IS SUBVERSION! And possibly sows the seeds for even a British revolution!